Birdie Johnson is a Howard Lake resident. 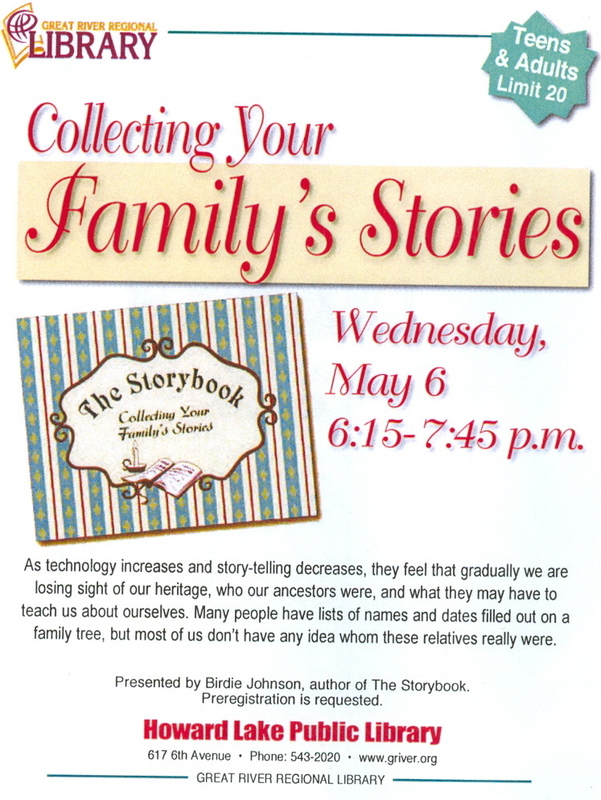 Don’t miss this opportunity to hear the author, have your questions answered and purchase her book. Two very special dogs, Penny and Sara, like listening to stories and area children are doing the reading. Both dogs, along with their owners Carol & Neil Sideen and Pete Sargent, are members of Reading Education Assistance Dogs (R.E.A.D.). 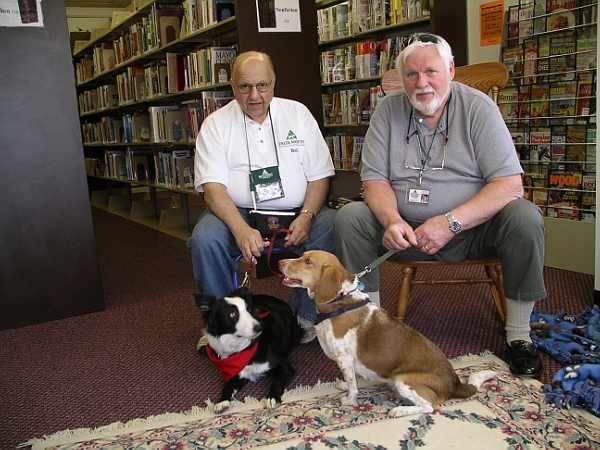 Besides providing a ready ear at the Howard Lake Library, the dogs also go to area elementary schools.